There is a lot of confusing advice on diet in magazines and books, and many food supplements which are claimed to help with arthritis. Some people end up taking expensive food supplements or eat elaborate diets which do not help, or may even be harmful. Often the same results can be achieved by simpler, cheaper methods. For example, it is better to get the vitamins you need from food, rather than take supplements. This article explains how the food you eat might affect your arthritis. It then advises you on the most sensible diet to follow and answers the most common questions which people ask about food and arthritis. Yes. The right diet can certainly help some people with arthritis and rheumatism. For example, if you are overweight and suffer from arthritis, one of the most important things you can do to help yourself is to change the amount and type of food you eat. Recent research has also discovered several new links between arthritis and diet. What are the links between the foods I eat and my arthritis? There are three important links between the food you eat and your arthritis, as described below. Does your food include all the basics? For example, is your regular diet giving you all the important basic nutrients including minerals such as calcium and iron? If it does not, then your general health will suffer and this will also make your arthritis worse. Are you eating foods which might make your arthritis worse? some foods produce chemicals in the body which aggravate arthritis in some people. some people are allergic to certain foods. This is highly individual, and varies from person to person. Are you eating foods or food supplements which might help your arthritis or general health? For example, recent research has shown that certain oils can help arthritis (see later). eat a balanced diet which gives you all the vitamins and minerals you need and which also keeps your weight down. We shall say more about these after we’ve explained why watching your weight is so important. Why is my weight so important? The most important single link between your diet and arthritis is certainly your weight. Being overweight puts an extra burden on the weight-bearing joints (back, hips, knees, ankles and feet) when they are already damaged or under strain. Because of the way joints work, the effect of the weight can be four or five times greater in important parts of the joint. This means that even a small weight loss can make a big difference to your joints. If you are overweight and have arthritis in any of your weight-bearing joints, losing weight will help you more than any expensive food supplements. Slimming has become big business. There are many slimming treatments and so-called miracle diets, and this can be confusing. Unfortunately there is no miracle cure. Crash and fad diets are usually unbalanced and are not recommended. Most people find they put weight back on when they return to normal eating. The only way to lose weight permanently is to change what you eat. Cut down on fatty and sugary foods, and alcohol, and instead eat more starchy foods, fresh fruit and vegetables. To work normally, your body needs food to supply energy and a variety of vitamins and minerals. If your diet contains more energy than you burn up, your body will convert the extra energy to fat and you will put on weight. On the other hand, if your food contains less energy than you are using, you will lose weight. It may be that you are unable to take as much exercise as before because of your arthritis. This means that you need less energy and should eat less. The energy in food is measured in kilojoules. If you eat fewer kilojoules, it is important not to eat less vitamins and minerals at the same time. This is why it is important to eat foods that have a lot of vitamins and minerals per kilojoule, such as fruit and vegetables. It is healthy to eat starchy foods like bread, potatoes, rice and pasta. They have no more kilojoules than protein. Wholemeal versions of these starchy foods are better for you as they supply more vitamins, minerals and fibre. For example, wholemeal bread, brown, rice, whole grain breakfast cereals etc. Fat has twice as many kilojoules as the same weight of starch or protein. Most people eat far more fat than they need for health. So cutting kilojoules does not require massive sacrifices. Making minor changes in the foods you eat can do the trick. Animal fats such as lard are high in saturated fat; olive oil is rich in mono-unsaturates; sunflower oil is rich in polyunsaturates. The fats in food are of three kinds: saturates, mono-unsaturates, and polyunsaturates. Saturates are found mostly in biscuits, cheese, cooking fats, hard margarine, pastry, pies, meat fat, full-fat milk and dairy products and chips. Some vegetable fats are also mainly saturates. Saturated fats are the most important kind of fat to reduce: the body doesn’t need them and they may actually aggravate arthritis. Softer fats and oils have more mono- and polyunsaturates but just as many calories, so limiting them is still important to lose weight. look for low-fat snacks such as popcorn or fruit. Make sure you take regular exercise – it burns up calories and is good for your health generally. Sugar contains only kilojoules and has no other food value so it can be cut down without any loss of nourishment. The World Health Organisation recommends that we should have at least five portions of fruit and vegetables every day. This is to make sure that the body receives the important antioxidants and vitamins which it needs to protect it during the stress of disease. You can also get more fibre from eating plenty of fruit and vegetables, especially the brightly coloured varieties like carrots, tomatoes, beetroot, and broccoli. Remember you also get fibre from whole grain versions of bread, cereals, pasta and rice. These foods are more filling and so will also help if you are trying to lose weight! Exercise is very important. Not only does it use up kilojoules which would otherwise end up as fat, but it increases your strength and suppleness. Exercise is good for your general health, especially the heart and circulation. Of course, arthritis and rheumatism can make it worse. But exercise does not have to mean running a marathon! A daily walk for half an hour with the dog or a walk to the local shops or park is exercise and it will help. Many people find particular types of exercise suit them: swimming is a good exercise because being in water takes the weight off the joints. Others prefer keep-fit classes, yoga or cycling. The most important thing is that you enjoy it an do it regularly. Make sure you take regular exercise – it burns up kilojoules and is good for your health generally. Benefits - helps decrease inflammation during acute attacks. Risks - causes stiffness and loss of muscle power. Benefits - produces increased movement, more strength, improved function and better all-round physical and psychological well-being. Risks - can increase pain if you exercise too much. 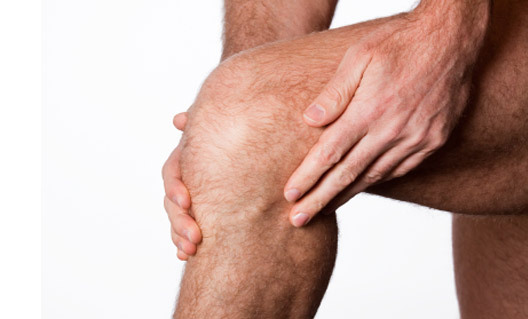 Resting is helpful if your joints are particularly inflamed and swollen. Exercise prevents joints becoming unnecessarily stiff and painful and keeps your muscles strong. If you allow your muscles to grow weak then it will become harder to move around; you are also more likely to trip or fall and so cause even more injury. Remember, exercise cannot wear out your joints. Exercises to help keep your joints moving. Exercises to maintain and improve the strength of your muscles. Exercises to keep up the level of your general fitness and health. No one exercise can do all three jobs so, depending on what each individual needs, groups of exercises need to be performed separately. These involve repeatedly bending and straightening the joint. You need to move the joint as far as it will go without causing increased pain. You can exercise your arms and shoulders simply by gently swinging the joint through as wide a range as is comfortable. Many people with arthritis of the back, hips, knees and feet find it easy to exercise when sitting or lying because in these positions the joints do not need to support the weight of your body. Gentle exercises like pedalling (on a normal bicycle, exercise bike or set of pedals) are good because they move many of the joints in the leg. Exercising in a swimming pool or hydrotherapy pool can be particularly helpful as many people find they can move more freely in water (because it supports their body weight instead of putting pressure on the joints). Warmth helps loosen up joints and muscles before exercise and also aids relaxation afterwards. A warm bath, for instance, is to be recommended. The idea here is to make your muscles work as hard as they can without causing extra pain. This is usually achieved by lifting weights (of differing amounts according to the requirements of the individual or of particular muscles). There are two different approaches using exercises like these. One is to make the muscles move the joint and use the weight to tense the muscles without actually moving the joint at all. Wherever possible, it is better to use the joint-moving exercise as this will help mobility as well as strength. But muscle strength is important too as strong muscles protect the joints from abnormal pressure which might cause further joint damage. Tightening the muscles on the front of the thigh (quadriceps) helps prevent ‘flexion contracture’ of the knee joint, a common cause of disability in arthritis. Extension exercises of the wrist joint help to maintain the hand in a good functional condition. These are to be done for a few minutes at a time and should leave your muscles feeling a little tired and you feeling slightly breathless. It is best to use as much of the body as possible – swimming, walking and cycling are ideal. Swimming has an additional advantage in that the joints do not have to support the weight of the body. General health and fitness exercises are often the most difficult of the three but they are very well worth the effort if you can find a way of doing them comfortably. They will also help you relax, sleep and feel generally better. You should be able to get more information about exercise and, if need be, a specific programme of exercises from a doctor or, in particular, a physiotherapist. The latter are specialists in this field, trained to develop exercise programmes for people’s individual problems, as well as give general advice about exercise. Always start off very gently so you can find out how much you are able to do without making the pain worse. ‘Little and often’ is better than the occasional exercise binge! Gradually make very small but regular increases in the amount of exercise you take. If you take it too easy it will not do you much good. Do not worry that you might be making your arthritis worse. As long as you start off gently, you will not. Be adventurous; find a form of exercise which is fun. But be sensible; hang-gliding is probably not a good idea! Should I take extra calcium? Calcium is an important basic nutrient. Not enough calcium in the diet contributes to osteoporosis (brittle bones). Woman after the menopause are particularly liable to develop osteoporosis. 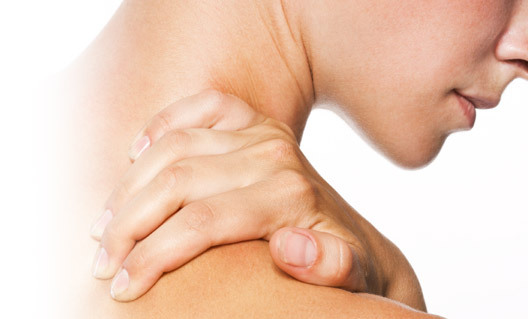 Many people with arthritis also have a risk of developing this condition. The richest source of calcium in most people’s diet is milk and dairy products (foods made from milk: cheese, yoghurt etc., but not butter). If you have about a pint of milk per day or use other dairy products regularly, you should be getting enough calcium. Remember that skimmed milk contains more calcium than full-fat milk. We recommend a daily intake of calcium of 1000 milligrams (mg) or 1500 mg if you are over 60. The table below may be useful. Skimmed milk, calcium-enriched soya milk, tinned fish, and some mineral waters are good sources of calcium. If, for any reason, you do not take many dairy products, soya milk is now available in most supermarkets; it can be used in exactly the same way as cow’s milk. Some soya milk is fortified with calcium, so try to use this. If you are not taking dairy products or a good quantity of soya milk, you may need a calcium supplement. Discuss this with a dietician or your doctor. Should I take iron tables? Iron is important to prevent anaemia. Many people with arthritis are anaemic, but this will not always be helped by iron. The anaemia can be due to different causes. NSAIDs (non-steroidal anti-inflammatory drugs) such as aspirin, ibuprofen and diclofenac help arthritic pain and stiffness but may cause stomach ulcers and bleeding in some people, leading to anaemia. The other main cause of anaemia in arthritis is anaemia of chronic disease, which often occurs with rheumatoid arthritis (RA) and similar conditions. If you are anaemic your doctor will advise you if you need more iron. The best source of iron in food is read meat. However, as many people are now cutting down on red meat for various reasons, it is important to have iron from other sources. Iron from fish is easily absorbed by your body and oily fish are a very good source. For example, sardines contain as much iron as beef! Iron is better absorbed if there is also vitamin C in the meal so have a good portion of vegetables or salad or fresh fruit with your meal. On the other hand, tea reduces the amount of iron which your body can absorb so it is a good idea not to drink tea with you meal. If you are vegetarian, remember that dairy products like milk and cheese are a very poor source of iron, but pulses like haricot beans and lentils and dark leafy vegetables (such as spinach and watercress) are quite a good source. They should be included daily in a vegetarian diet. What food should I leave out of my diet? The best evidence we have that food can influence arthritis is from people with gout. Gout is a particular type of arthritis where the body is not able to properly absorb those foods which contain purines. This results in too much uric acid which can crystallize in the joints. Drugs have largely replaced diet as a treatment for gout, but, if you have this condition, you can avoid the main sources of purines in the diet – do not eat liver, heart, kidney, sweetbreads, meat extract (e.g. Oxo), anchovies, crab, fish roe, herring, mackerel, sardines, shrimps, sprats, and whitebait. Alcohol particularly affect uric acid and people with gout should drink no alcohol at all or very little. There has been some recent research about the effect of leaving certain foods out of the diet in other forms of arthritis. Fasting for a week can improve rheumatoid arthritis, but the arthritis quickly returns when you go back to a normal diet. We do not recommend fasting as a treatment for arthritis. However, less drastic changes may help. Lactovegetarian diets (i.e. vegetables, fruit and milk products but no meat) might help some people with rheumatoid arthritis in the long term. A vegan diet (i.e. strict vegetarian, no milk) may also help, but it is difficult to get enough of some important nutrients on a vegan diet. Fish oil may also help in arthritis, so if you are keen to try something, it is worth trying a diet which avoids meat but includes fish. The subject of food allergy or intolerance and arthritis is very controversial. The only reliable method is an exclusion diet where you exclude a certain food from your diet. If you think you are allergic to a food, try cutting it out of your diet for one month. Then start eating it again and see if it makes a difference. An exclusion diet can, however, be quite difficult. The power of suggestion can be very strong. Also, some foods are used in cooking or food preparation and may be taken without you realising. Are there any foods which really do help arthritis? One of the most exciting recent discoveries is that certain kinds of oil in the diet help some people with arthritis. These oils contain essential fatty acids (EFAs). Essential means that the body cannot make them for itself, and must get them from food. The body uses these EFAs to make chemicals called prostaglandins and leukotrienes; the right balance of these is important to control inflammation. There are two groups of EFAs: omega-3, found mostly in fish oil, and omega-6, mostly from plant seed oils like sunflower oil. Omega-3 EFAs are found naturally in oily fish, especially mackerel, sardines, pilchards and salmon. So it is a good idea to eat oily fish three or four times a week. Apart from helping with arthritis and rheumatism, it also helps protect against heart disease. The main omega-3 EFAs are called EPA and DHA and most chemists and health food shops sell fish oil capsules which contain high concentration of these. Fish liver oil (cod or halibut) also contains these EFAs as well as vitamin D, which helps the body to absorb calcium. But fish liver oils also contain a lot of vitamin A. This is dangerous in large amounts, and in particular should not be taken by pregnant women, or women who might become pregnant, because vitamin A can harm the unborn baby. This means that women in these groups should not take fish liver oils or vitamin A supplements at all. Oily fish and evening primrose oil are good sources of essential fatty acids which can help with arthritis. Other adults should not take more than 9000 micrograms (mg) of vitamin A per day for men and 7500 mg per day for women. Be careful if you eat a lot of liver because this usually contains 13,000-40,000 mg of vitamin A per 100 g. Look on the packaging of fish liver oil capsules to check the amount of vitamin A they contain. The main omega-6 EFA is called GLA. The best known source is evening primrose oil, but several other plant seed oils also contain it. Again these are available from most chemists and health food shops. In theory, EFAs can cause a problem by generating chemicals which cause free radicals in the body, which could lead to heart and circulation disease. Antioxidants are a group of vitamins and minerals which protect the body from this. They are found mostly in fresh fruit and vegetables, especially the brightly coloured varieties like carrots, tomatoes, beetroot, and broccoli. Most chemists and health food shops stock antioxidant vitamin and mineral supplements. Are there any food supplements which do not help with arthritis? Selenium ACE (which contains selenium and vitamins A, C, and E) is a food supplement which has been claimed to benefit arthritis. Scientific trials have shown that it does not work. However, selenium and vitamin E are important antioxidants and might help in conjunction with EFA supplements, although there is no proof of this. Can diet help if I am taking drugs? Yes. A good diet still helps even if you are taking strong drugs for your arthritis or rheumatism. Some of the changes we recommend in this article can help to reduce the amount of drugs you need – losing weight, taking a healthy diet, perhaps excluding some foods, and taking EFA supplements. A good diet can also reduce some side-effects of drugs. For example, steroids, such as prednisolone, can cause osteoporosis, particularly if you stay on them for a long time. Plenty of calcium in your diet will help to reduce the risk. What are the main points to remember about my diet? try taking more essential fatty acids (EFAs) from fish or plant seed oils. If you think you are allergic to a food, exclude it from your diet for one month, then reintroduce it, to see if it makes a difference.